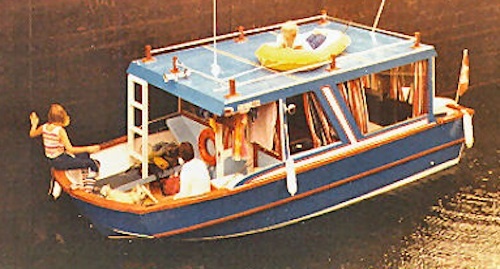 Wooden house boats can be very unique. One of the great things about them is that you can actually feasibly build one yourself. There are plans out there that you can purchase that pretty much show you how. When it comes to wooden houseboats, there are plenty of options because you can literally design and construct yourself! If you want something that can easily be towed, you can—all while still having the ability to live aboard and use it as a camper too. They got bombarded with so many questions that they decided it was best to write a book about the entire experience. In it they share their entire story, how they selected the right boat plans, what materials they used and where they got them, step by step tips, photos, preventing problems, working with fiberglass, interior design, construction, and so much more. If you're thinking about building your own houseboat, this is a great book to have. And it's super value at just $13—you'll be happy you got it because you'll absorb all of Sandi and Lee's experience after reading and looking through all their pictures. Order Sandi and Lee's Dream Building book. 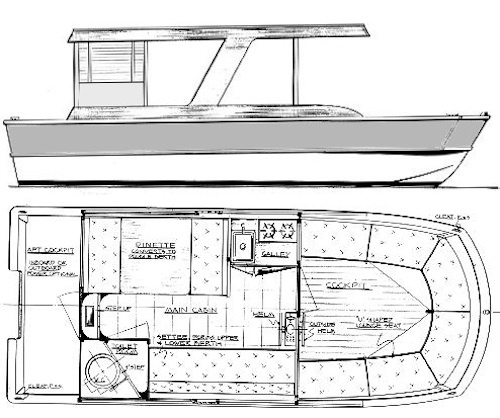 Order actual house boat plans (and hundreds of other plans) here. Also another super valuable deal.